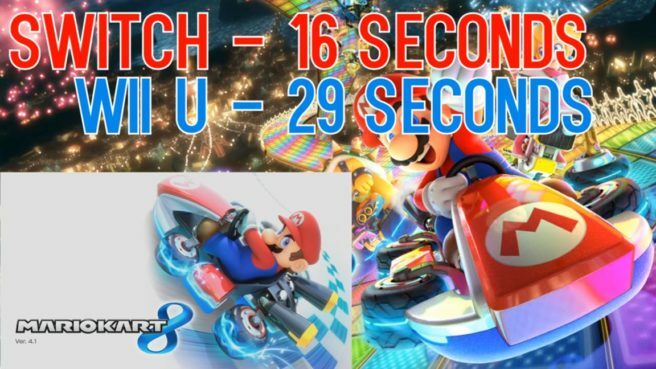 We’ve heard that Mario Kart 8 Deluxe features improved loading times. In a new video from NomComms, we’re able to see just how much they’ve improved. With the initial boot, the time it takes to start up Mario Kart 8 Deluxe is nearly half of the Wii U version. Going into tracks themselves also shave off several seconds. Watch the full video comparison below.